There has been a fair amount of discussion about slacks, pleated or flat-front and how they should break. Here's what we, at UWM, have to say about it. For so many years, men have been afraid to wear clothing that was close to their skin. 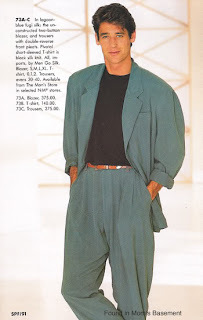 Just think about how boxy suits have been for the past 20 years. 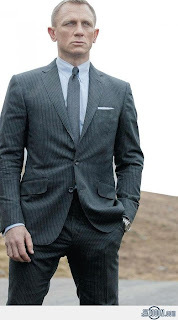 Today, men's suits have become much for form fitting, leaving out the excess, unnecessary fabric and showing off much more of a man's figure. 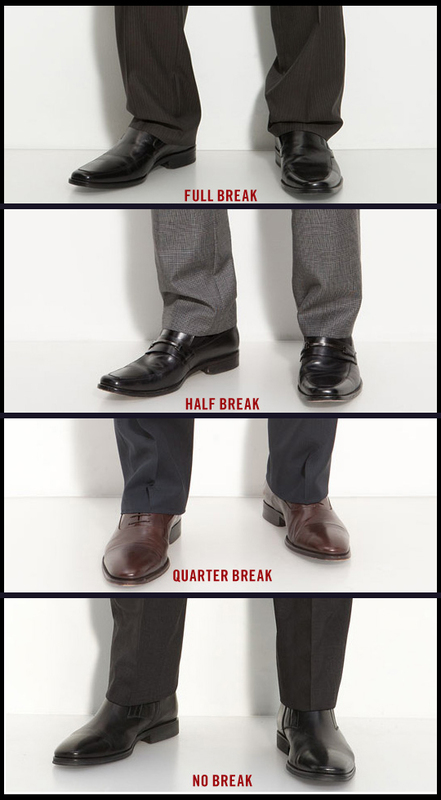 In another segment we'll highlight a proper jacket fit, but today's topic focuses on the lower half. We asked one of our reps about 5 years ago whether they sold more pleated slacks or flat front. He said that about 75% of their business was pleated slacks. Today however, that same rep says that they sell about 85% flat-front, a total 180 from 5 years ago but why? As men's clothing has become more body conscious, so have slacks. When looking for a new pair of pants, we suggest trying some flat-front pants on and seeing the amazing difference that they will make in your shape. Flat-fronts remove extra fabric pleated slacks have and make your hips and thighs look so much slimmer. They are clean, sleek and absolutely the way to go. If, however, you do have a little more "junk in the trunk" and need the room, find a pleated slack that will allow for just enough room without too much excess fabric exaggerating your leg size. Another common question is the break, or ending point, of your pants. If you look at the image above, different breaks are shown. This picture excellently portrays our next suggestion: a shorter break. If you look at the difference between the top picture and the bottom picture, you'll see how much cleaner your slacks will look the shorter the break is. You don't want to go too short but we suggest the pants to stop anywhere between the top of your shoes and the middle of your shoes. A shorter break will clean up any unwanted baggy effect that a longer break may be causing, and will actually make you look taller and slimmer!